Some of our patients have been using the SmartByte System in our clinic. Learn more about the device and its benefits for some patients below. If you’re interested in this device, please talk to your doctor. Personal Coaching. A personal coach is available to help you achieve and maintain your goals. Self-Monitoring Application. The device sends usage data to your app. A cellular-enabled scale also automatically captures your weight data into the app. Gathering data helps you and your coach view your results. The small, removable, custom-molded SmartByte Device is comfortably placed on the roof of your mouth, only when you eat. It helps you to take smaller bites & eat more slowly which gives your body time to realize that you’re feeling full so you’ll be satisfied with less food and fewer calories. It’s important to use SmartByte regularly. People who used SmartByte during more meals lost more weight. The SmartByte Device is the only FDA-cleared wearable to help you manage your weight. In a published clinical trial, people ate 533 fewer calories per day by using SmartByte. It takes 3,500 calories to burn 1 pound of fat. SmartByte does not work for everyone and individual results may vary. In clinical studies, people using SmartByte lost 38% excess body weight in only 4 months. 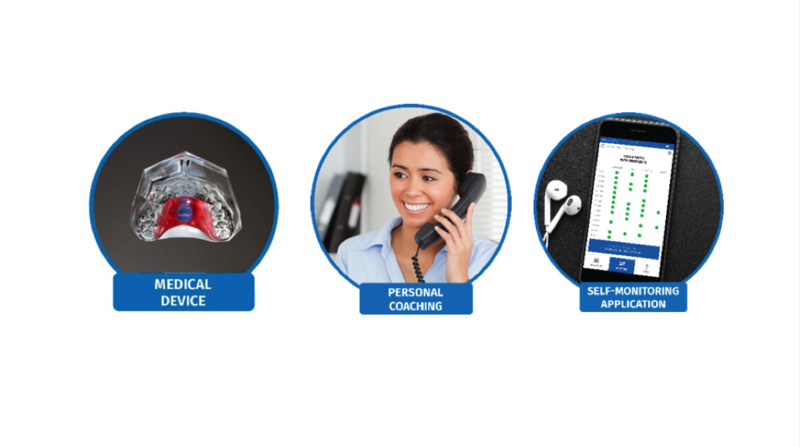 SmartByte has been studied in 5 clinical trials with over 300 people. Based on the safety and effectiveness results from 2 of these clinical trials, the FDA cleared SmartByte for sale in September 2016. Results from the 2 additional clinical trials have been published in distinguished medical journals. In clinical studies, people using SmartByte as directed lost 38% excess body weight (4.4% total body weight, 8.8 lbs. for a 200 lb. person) in 4 months. People who did not use SmartByte as directed lost an average 14.6% excess body weight in 4 months. In a published clinical trial, people ate 533 fewer calories per day by using SmartByte. It takes 3,500 calories to burn 1 pound of fat. It’s well known in medical literature that losing weight has a positive impact on improving health. SmartByte is for weight management in overweight/obese individuals with a body mass index (BMI) of 27-35 kg/m2 and with behavioral modification instruction. SmartByte is not for people with eating disorders or who are pregnant. Individual results may vary.